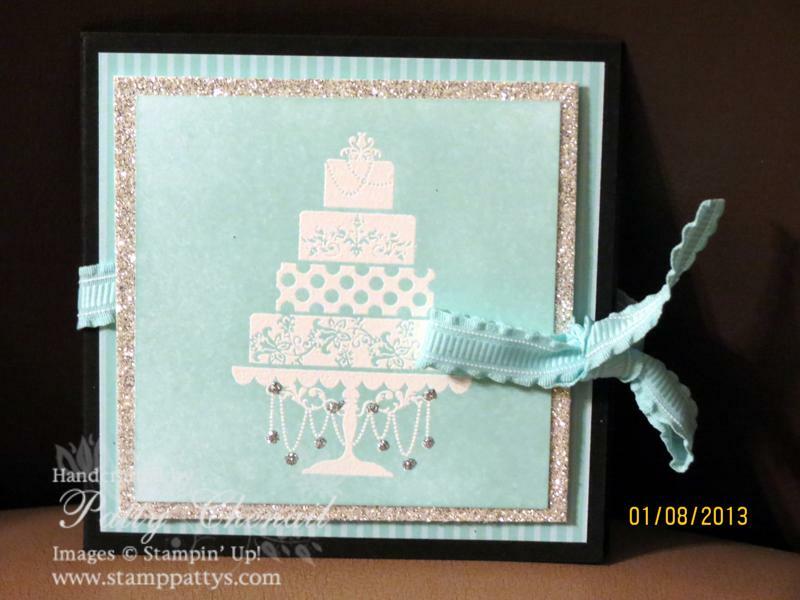 Today I am sharing a beautiful project made by Judy G. She submitted this as her entry to my Occasions Mini swap this past week! I absolutely LOVE the color combination! It is basic black and pool party. 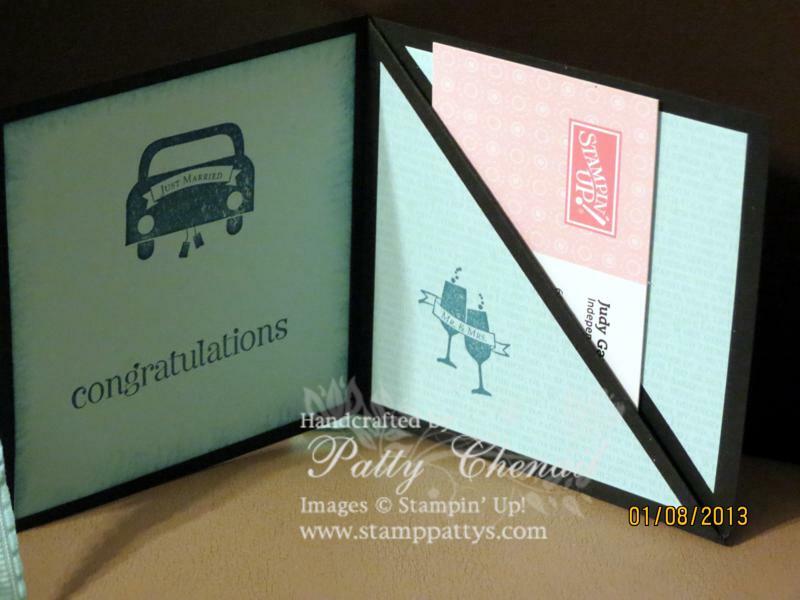 The stamp set is called, “Just Married”. It is one of the great new sets is our Mini Catalog! This is a 3″ x 6″ (which folds into 3 x 3) project with a bit of a twist. There is a pocket on the inside that would hold a gift card nicely! Stay tuned for tomorrow’s post….I’m going to share some pictures from Leadership here in Orlando, FL! HUGE SMILE that you posted my card!!!!! Bit of a correction…the base card is 3-1/2 x 10-1/2 scored at 3-1/2 and 7. That extra 1/2 inch is needed to hold a gift card.